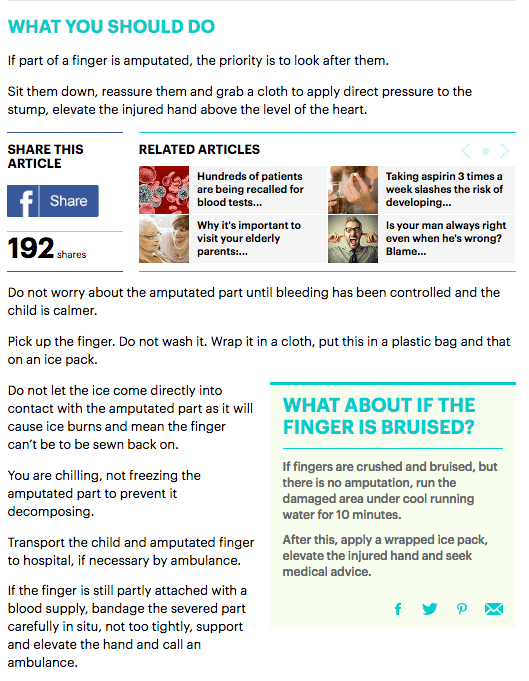 Mail Online – What to do if you accidentally chopped off part of your finger? Accidentally chopping off part of your finger is a worry many face in the presence of sharp knives. But there’s no longer any reason to freeze in horror if the unfortunate incident does happen to you, or a loved one. Instead, an experienced London-based nurse and first-aid trainer has revealed her step-by-step guide for dealing with such an event. 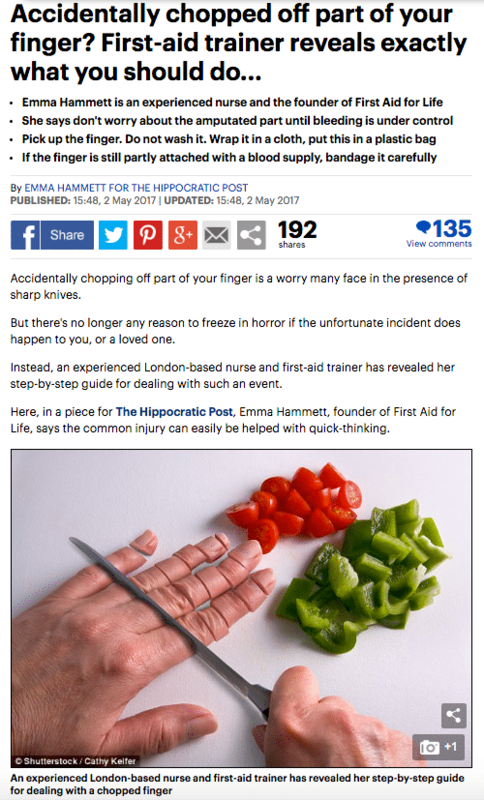 Here, in a piece for The Hippocratic Post, Emma Hammett, founder of First Aid for Life, says the common injury can easily be helped with quick-thinking.